Last night I kind of threw together a dinner that turned out so much better than anticipated. 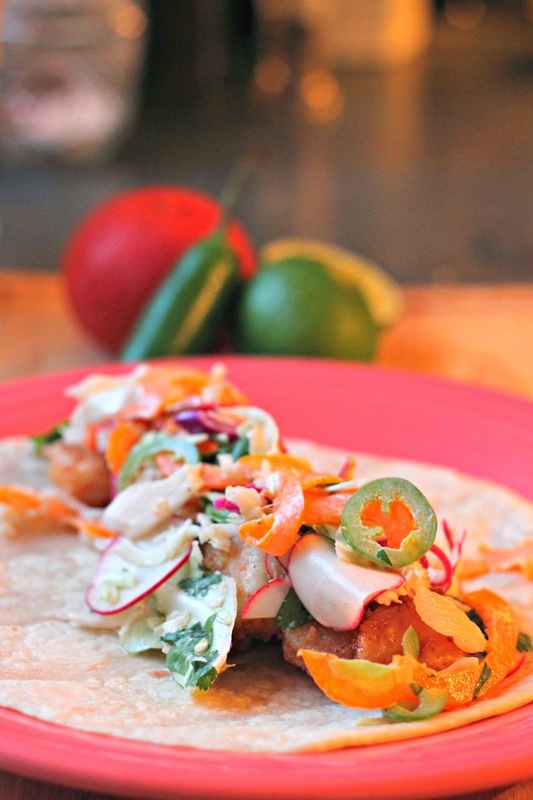 I planned on us having shrimp tacos of some sort, and I had the ingredients to make a slaw to go over top of them. I've been hearing about Empty Mayo Jar Salad Dressing recently, and I was so intrigued by the idea. I always waste so much of the mayonnaise that is stuck in the bottom of the jar, and this is such a great way to use all of it up. 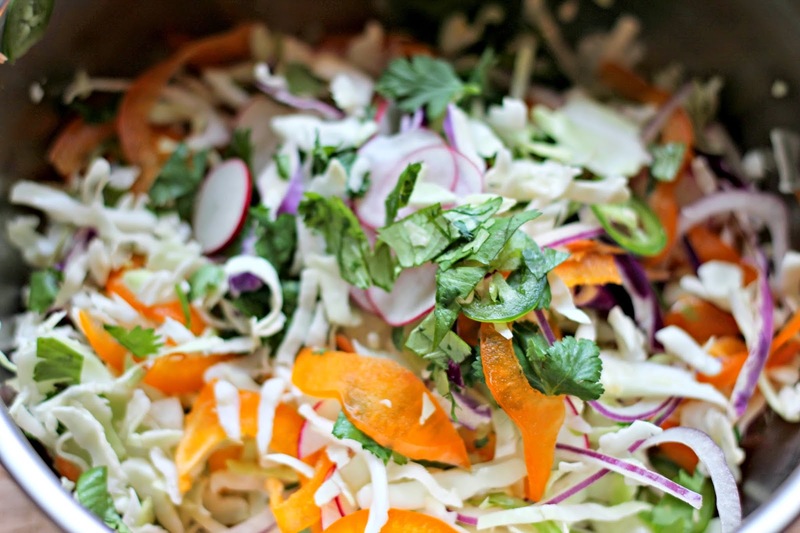 I also like that this recipe uses vegetables that aren't usually added into a slaw. It's so colorful and the flavors are very unique. Using a mandolin on a very thin setting, slice the bell pepper, jalapeno, red onion, and radishes. 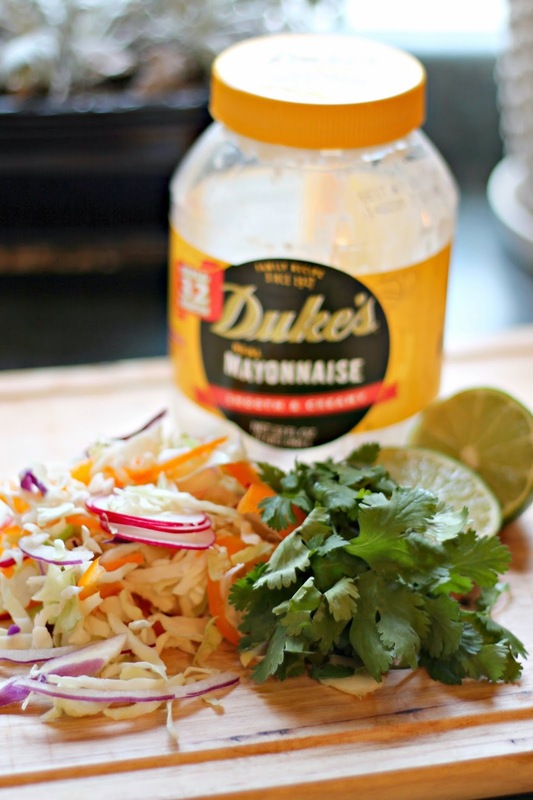 Combine with the cilantro and slaw. Pour all of the ingredients into an empty mayonnaise jar. (If you don't have an empty mayo jar on hand, you can use 2 tsp of mayonnaise instead.) Shake the jar until everything is combined. Pour over slaw mix and let sit for 15-20 minutes. Serve over tacos or as a side dish. **And a quick side note: Once you're done with the mayo jar, save the lid! They are the perfect size to screw on top of a mason jar. Now how's that for upcycling?